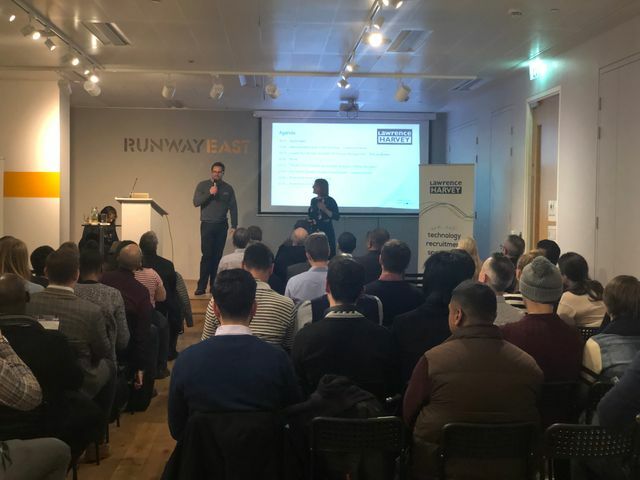 Last night, Lawrence Harvey were thrilled to host the March Awesome Admin Meetup, with the hot topic of conversation being Einstein Analytics. Alongside products such as CPQ, Marketing Cloud and Field Service Lightning, Einstein has become increasingly prevalent over the last 12 months and one that I, among many, was keen to hear more about! We were fortunate enough to be joined by Amruta Moktali - VP of Product Management at Salesforce Analytics Cloud who showed us a number of new features that will soon be available to the masses - even some examples that her developer had been working on that day! The key message being that Einstein should facilitate a complete and connected experience for your company. Perhaps the most valuable insight shared by both Amruta and Rikke were the tools available to Einstein enthusiasts. Many were seen scribbling in their notepads after Amruta mentioned free apps which can help you if you're at the beginning of your Einstein journey - Einstein Analytics Learning Adventure and Einstein Analytics Learning Map. You will find the links to the apps and more valuable insights in Rikke's blog below and for those who weren't able to attend, try and attend the next Awesome Admin Meetup on Thursday 19th April! I thought it was worth letting others benefit from my learnings, so I started this blog, so other’s might get started with Einstein Analytics a little quicker. A lot has happened since 2015; the product has changed and the amount of information/documentation available has increased. But if you are completely new to Einstein Analytics where should you start?